Here at 1byone, we stand by our products 100% with a 24-month warranty. A happy purchasing experience is our #1 priority and we will happily send a product replacement if any issues arise. 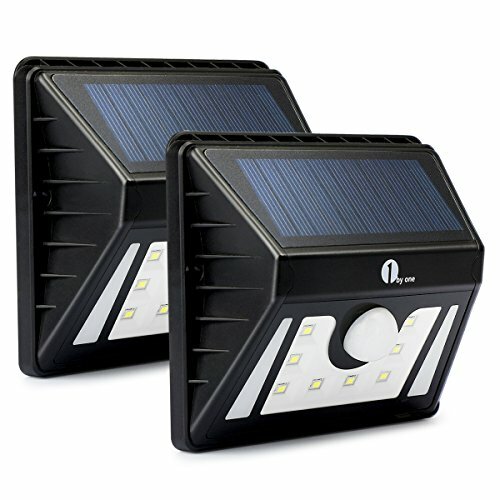 Strong Battery Capacity - With an improved design, upgraded solar panel, and increased battery storage from 800mAh to 1500mAh, 1byone LED Solar Powered Wall Light with Motion Sensor is powerful and durable when emitting light in less-than-ideal conditions.